There are several different features that blow dryers that they offer making each one a little bit different. We’re here to help you figure out what is the best hair dryer for your hair and the style that you want to achieve in 2019. 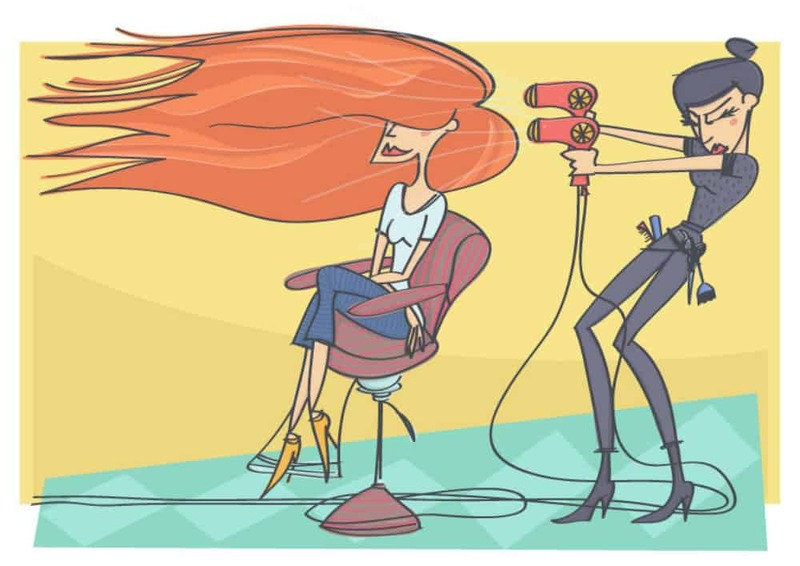 Before we jump into our top picks, here are some basic hair dryer usage and buying tips. 1. Turn down the heat, but keep the wattage up. 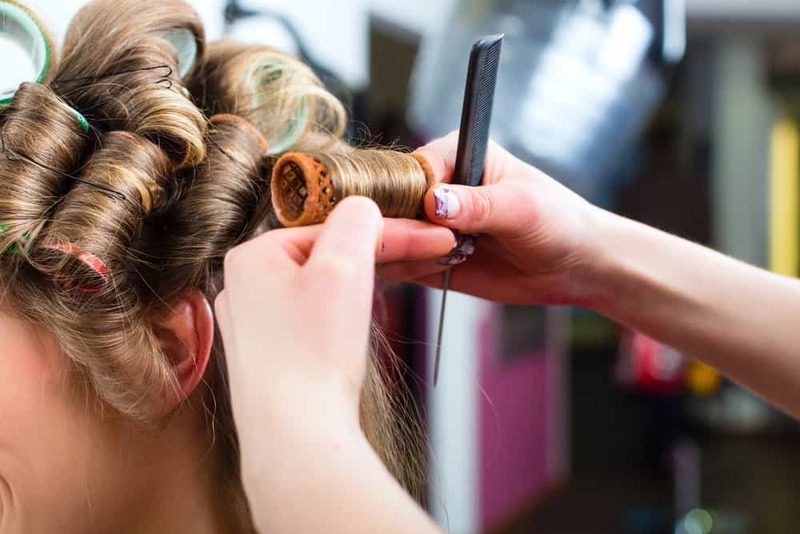 Unlike curlers and crimpers that need higher temperatures, blow dryers need more power than heat. 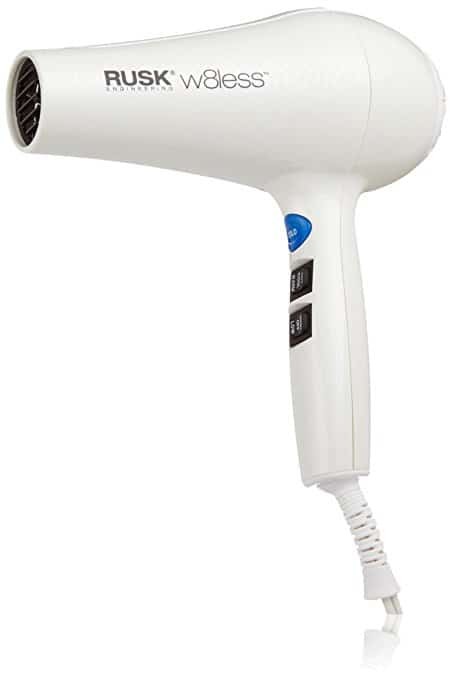 Look for a hair dryer that has between 1300 and 1800 watts. 2. Know which settings to use. You’ll commonly see three settings, high, low and cool. Use the high setting if you have thicker, more coarse hair or if your hair is very wet. Use the low setting for fragile and thinner hair or if your hair is only damp. The cool setting, also known as the cool shot button, should be used to finish the last bit of drying and seal the hair cuticle, so your style will last longer. 3. Use an Ionic hair dryer for faster results. An ionic hair dryer gives off negative ions. These ions help to break down the water molecules which helps your hair dry faster. 4. Use a ceramic tourmaline hair dryer to keep your hair from getting damaged. Ceramic tourmaline dryers give off far-infrared heat that dries your hair in a more gentle and less damaging way. The tourmaline seals the cuticles, adding shine and preventing frizz. 5. For added volume and style, use a diffuser. A diffuser is a great attachment that goes on the dryer to help you style your hair. For flat, straight hair, try flipping your hair over and use a diffuser going from the bottom up. For curly hair, use the diffuser on the tips of your hair and twist upwards. How many watts is it? A good wattage is 1,300 to 1,875. It’s recommended to buy higher wattage and use a lower setting. Ionic: breaks down the water to dry hair faster. Not all dryers are ionic. Ceramic: Blow infrared heat onto your hair. It’s not as hot as traditional hair dryers so less damaging. Tourmaline: Blow infrared heat and negative ions requiring even lower heat. Settings: You definitely want a model that offers multiple heat settings including cool settings. You don’t necessarily want to cook your hair every day. Noise: Unfortunately you won’t know how loud a hair dryer is until you use it, but you can read other customer reviews for some guidance. For me, noise is a significant factor – I despise noisy appliances of all kinds. Makes me wonder why Dyson can’t come up with a whisper vacuum. Size: If you travel, get a separate travel-friendly hair dryer that is compact so it’s easy to pack. Don’t necessarily count on all accommodations to have hair dryers available. Check the dimensions and research whether it folds and how well it accommodates the cord for traveling. Attachments: If you have attachments that you like, ensure any prospective hair dryer accommodates your attachment. If, however, your choice of hair dryer is more important it may be worth buying new attachments. Also, be sure that any hair dryer you buy offers all the attachments you need/like to have. Hair type: Is the hair dryer made for a specific typeof hair such as thick, fine, curly, straight, etc.? Read whether the model makes any mention of this and what other customers have to say about it. Obviously you want a dryer suitable for your hair type. Cost: Fortunately, the range in cost is fairly narrow unless you go all out for a Dyson hair dryer which costs far more than the usual $50 to $150 hair dryers. Weight: There’s nothing worse than having to heft and hold heavy hair appliances. Compare the weights. A few ounces can make a big difference Check the weight of your current model and use that as a benchmark when shopping for a new one. Blow strength: Some people don’t need high blow strength while other people like the stronger the better. If you like a powerful air blow, investigate the blow capacity of any model you’re considering and read what other people have to say. Some models definitely hype blow strength more than other models. First of all, professionals have likely used a lot of models and so they’re familiar with them. Second, your hairdresser knows your hair and may be able to recommend a model that best suits your hair and style. Third, while hairdressers probably spend a decent amount on a hairdryer, it’s not likely frightfully expensive given the maximum cost isn’t outrageous (except for Dyson which manages to get away with charging well above the norm for all its products… sometimes justified and sometimes not). Yes, you can use an extension cord, but then you end up with a mess of cord. Ideally, your hair dryer’s cord is long enough for where you use it. Figure out how long of a cord you need and keep your eye out for models that have that length of cord. I wouldn’t choose a hairdryer based on cord length, but if all else is equal, it could help you make a selection.There you have it; a list of questions, features and consideration to keep in mind when shopping for your hair dryer. IMPORTANT: Please note that we do not try every hair dryer available for sale. That would be impossible given there are so many options and that some are for sale in some parts of the world that we do not have access to. Moreover, there are some that we may not have heard about and never will. 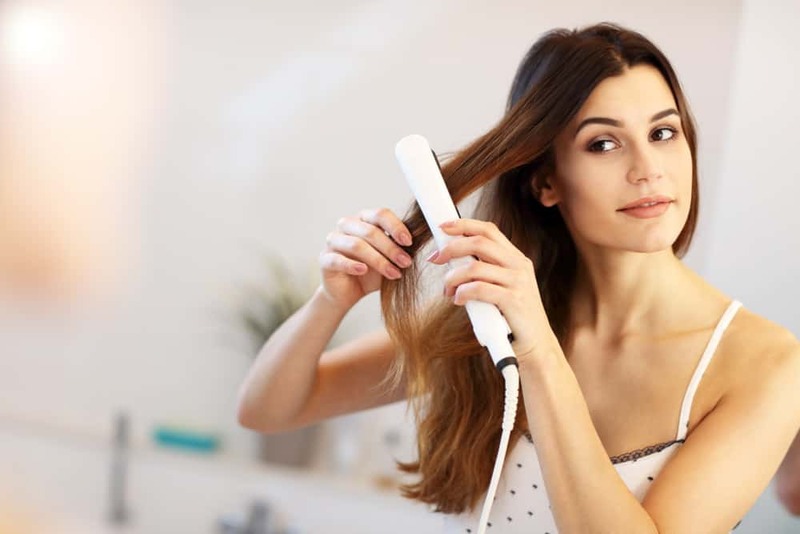 The most important part of this article is the blow dryer buying guide (see above) because it explains the different types of blow dryers and it's that information that we suggest you follow and then choose one that meets your hair type and needs. The following list is a diverse list of 11 different blow dryers that have garnered excellent customer reviews. The list is not based on our testing every single hair dryer available. This model by RUSK is a professionally designed lightweight hairdryer—the solution you’ve been looking for in blow drying your hair. 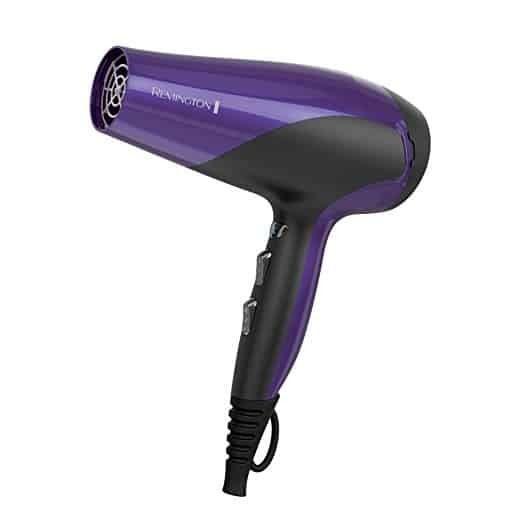 Weighing less than a pound this hair dryer somehow packs all the power necessary into its compact frame to get the job done for you, and get it done well. 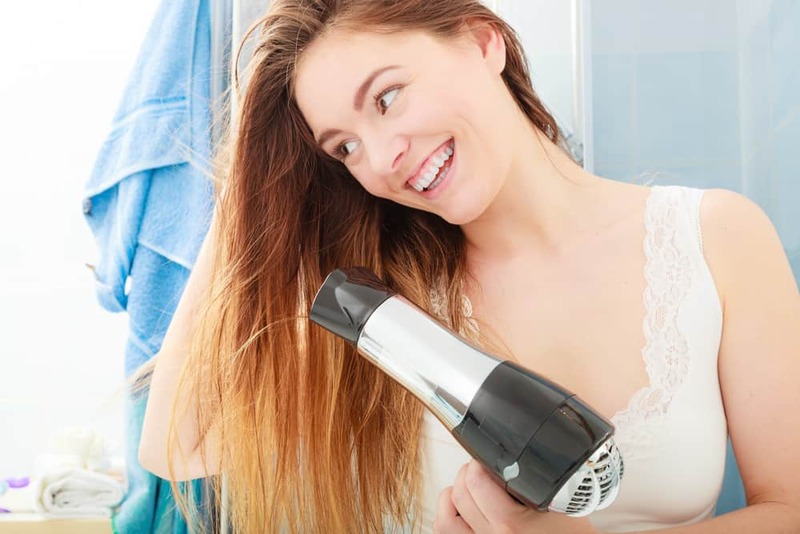 Without damaging your hair, or creating a frizzy mess for you to deal with, this RUSK hair dryer can get your hair dry, smooth, and magnificent in no time at all. But how does it work? Just what is it about this hair dryer that makes it a game changer in the beauty industry? Let’s delve in to give you all the details you need to know. RUSK is one of the world’s premier salon brands, and they did not earn their position in the beauty industry by not striving to be the best. The company has tirelessly pursued the latest and greatest beauty trends and innovations to bring their customers products that offer exemplary performance. RUSK is a brand that keeps up with the hairstyle trends and hair drying needs of today. Their products are designed to give customers the ability to achieve the look they desire. The result of all their hard work, insight, and dedication? A hair dryer that goes above and beyond in performance, style, and hair care. What Sets the RUSK Engineering W8less Professional 2000 Watt Dryer Apart? Let’s start talking about the features that this incredible hair dryer has to offer its users that allow it to perform so well and make it an essential tool you need to add to your grooming arsenal. Just one feature among many that make this model the best hairdryer for fine hair (as well as regular and thick hair) is the fact that it comes infused with both ceramic and tourmaline. These are substances that help to reduce damage to hair in tools that use heat to style your locks. can leave the house looking like you just walked out of a salon every single morning. Weighing in at just under one pound, this hair dryer won’t tire your arm out from holding it. No one likes that shoulder pain you get from trying to style your hair with a heavy and bulky hair dryer. That’s why, in this RUSK model, the company made sure to pack all its power into a small punch. You still get salon grade results, without all the bulk and weight that you might associate with other hair dryers that produce similarly stunning results. This feature helps contribute to the longevity of the device. While many hair dryers can become clogged with dust and hair products, resulting in the motor overheating and the device being prematurely destroyed, this need not happen with your RUSK hairdryer. Because the filter can be removed for cleaning, so long as you do this every now and again, you can rest assured that your hair dryer will last you for years to come. Like many modern hair dryers today, your RUSK Engineering W8less Professional 2000 Watt Dryer comes with many different heat settings you can choose from. As you probably know, especially if you have fine hair, a lower heat setting is best for you to cut down on frizz, damage, and static. The RUSK Engineering W8less Professional 2000 Watt Dryer offers 7 different heat settings for users to select. However, what is unique about the heat settings options for this model, is it comes with a cool setting. This is not something that you very often see in hair dryers. However, who says you need warm heat to get your hair dry? While it does feel better against your scalp in many cases, it is not always completely necessary to achieve the effect you are looking for. The cool setting, or the lowest heat setting, are great options for those with fine or thick hair to get ideal results without damage. This hair dryer model comes with a nozzle concentrator, which allows you to hone in on a thin strand of hair and dry it without impacting the rest of your locks. If you only want to dry one section, or one section at a time, then this muzzle concentrator makes that feat easier than ever before. The cord on this RUSK model is 8 feet long, allowing you all the maneuverability you could possibly need to style your own hair or to style somebody else’s. Without being burdened by a short cord, you are able to have freedom of motion while getting your hair styled to perfection using this professional hair drying model. With all these excellent features combined, it is clear that there is no contest. 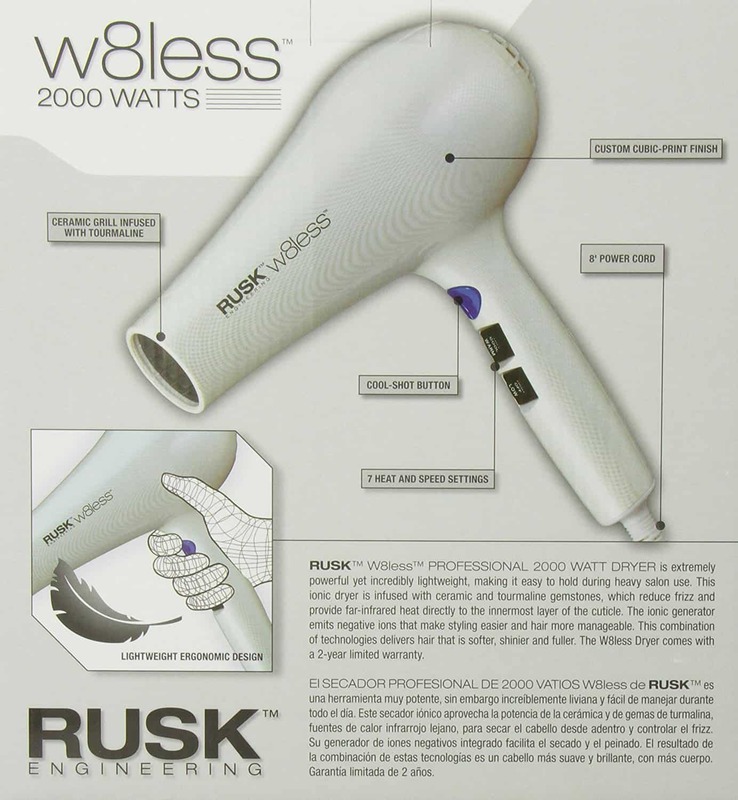 The RUSK Engineering W8less Professional 2000 Watt Dryer is the best hairdryer for fine hair available on the market today. 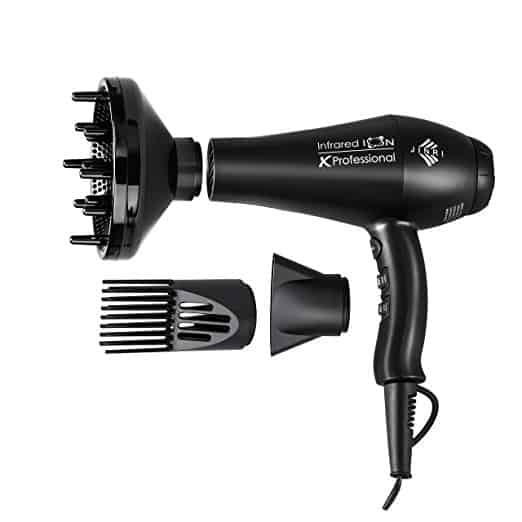 It has all the power you could possibly need from a hairdryer, coupled with a lightweight body, plenty of options for heat settings, including a cool shot option, and so much more. It’s professional and durable construction gives users the peace of mind that it will last for the long haul, while the infusion of ceramic and tourmaline assures users that their hair will not undergo damage, frizzes, or static from the use of this product. Convinced that the RUSK Engineering W8less Professional 2000 Watt Dryer is the hair dryer that you’ve been looking for, especially to protect your hair and allow it to look its best? Click here for pricing and to buy yours today—but be warned, once you try it, you will never want to go back! Design: Twist folding handle, lightweight, 1,875W hair dryer ideal for travel. This is one of the best travel hair dryers based on customer reviews, weight, size and folding features... all while still delivering a very effective hair drying result. At 1,875 Watts, this twist-folding handle ionic technology blow dryer is powerful enough to efficiently dry your hair with several travel-friendly features so that your hair doesn't have to suffer while on the road. With two heat settings as well as two speed settings, this unit will accommodate all types of hair, including fine and thick and everything in between. Finally, this is inexpensive to boot. Which one is it? Click the "See Price" button below to learn more at Amazon.com. The Jinri professional dryer features two-speed and three heat settings. It uses both negative ions and infrared heat to dry your hair gently without damaging it. This dryer comes with three different attachments to style your hair, and the description claims to deliver more than 2000 hours of drying time. Another great feature is that it comes with a removable filter so you can easily clean it. 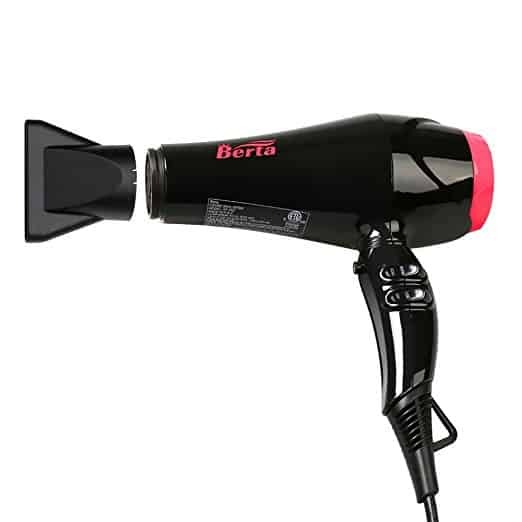 The Berta dryer comes in a pink and black design with a salon cable and hanging loop. It uses negative ions and high watts to dry your hair quickly. This dryer features two speed, three heat settings and ALCI safety plug that keeps it from turning on under abnormal conditions. It also comes with a detachable diffuser and removable filter for easy cleaning. The Remington damage control ionic dryer comes is coated with ceramic and tourmaline to prevent your hair cuticles from overheating while drying. A unique feature of this dryer is that the grill is infused with micro conditioners that transfer to your hair to prevent damage while also adding shine, which is a reason it makes our best blow dryer picks list. It also has two-heat, three-speed settings, a cool lock button and comes with two different diffusers. This dryer is a great option for fragile, thin hair and it is very budget friendly. 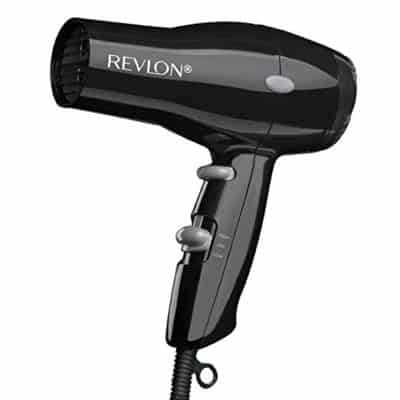 The Revlon compact dryer is ideal for times when you are traveling but don’t want to bring your big, hard to store blow dryer. This dryer has a removable end cap and also a hanging ring for easy, compact storage, perfect for your luggage. 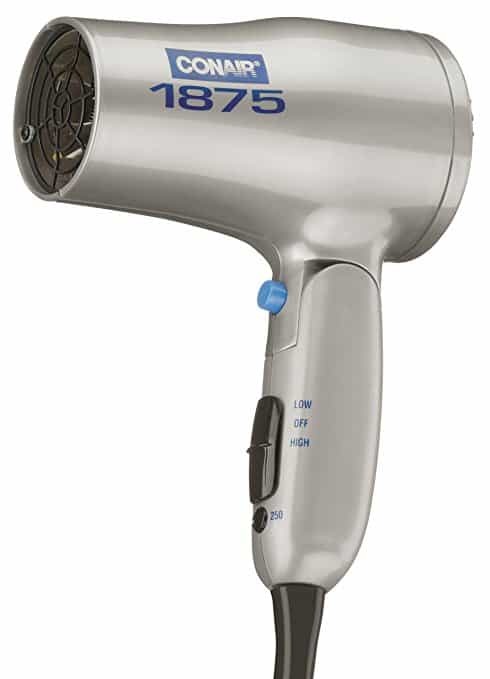 It features 1875 watts for the quick drying as well as two speed and heat settings and a cool shot button to set your style. 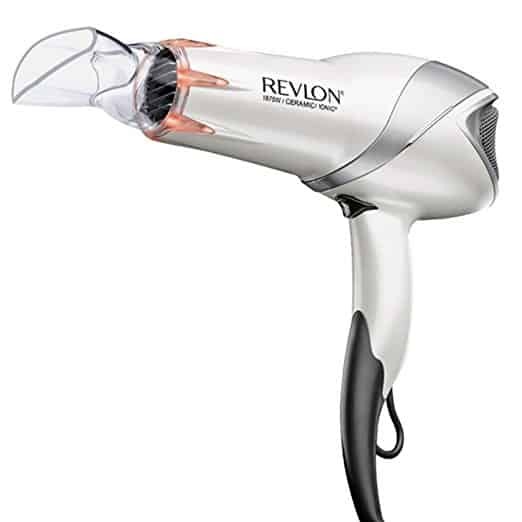 The Revlon infrared dryer is a budget friendly option with several features such as negative ions and infrared heat to gently dry hair. It has three times as much ceramic tourmaline coating as most hair dryers to give you shinier, healthier hair. This dryer has two-speed and two-heat settings as well as a cool shot button. This dryer is a good option for someone with thicker, frizz prone hair. It comes with two attachments including a precise styling concentrator and volumizing diffuser. 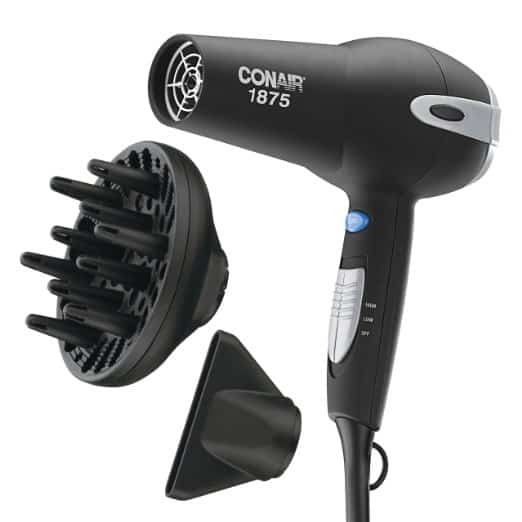 The Conair soft touch hair dryer has a high torque motor for fast drying, and it is coated with ceramic tourmaline to prevent hair damage. It features three-heat and two-speed settings along with a cool shot button. This dryer includes two attachments including a concentrator as well as a diffuser. This one was a no brainer to add to our list of 2019 best hair dryers. 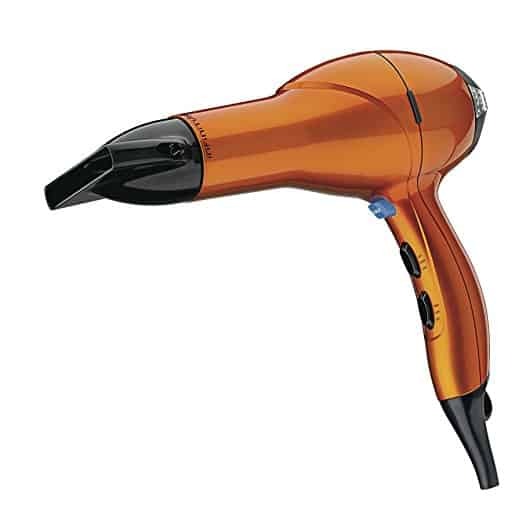 The Infiniti Pro dryer by Conair comes in a bright orange color. The 1875 watts and powerful AC motor provide quick drying performance. It uses negative ions to help dry and prevent frizz. This dryer has three-speed and two heat settings as well as a cool shot button. It also comes with a diffuser attachment and another bonus, is that it has a four year warranty that most hair dryers don’t include. 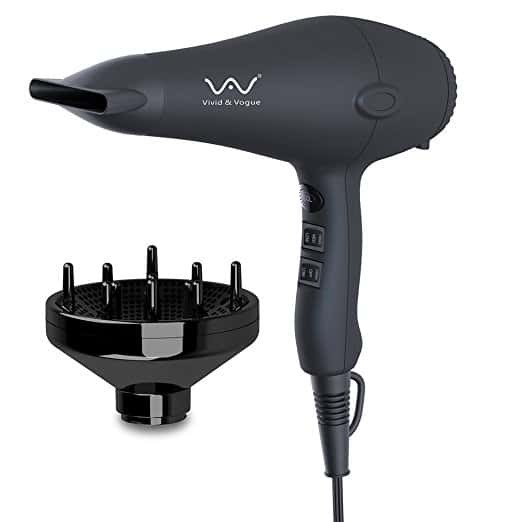 The VAV blow dryer comes in a sleek black design. It uses negative ions and infrared heat to dry your hair gently, and it comes with a ceramically coated coil to prevent damage. It has a three speed, two heat setting, and a cool shot button. This dryer features a removable rear filter for easy cleaning as well as a diffuser and a concentrator nozzle. Style: Professional ionic, ceramic blow dryer. Design: Dryer with two speed, three heat settings, and AC motor. 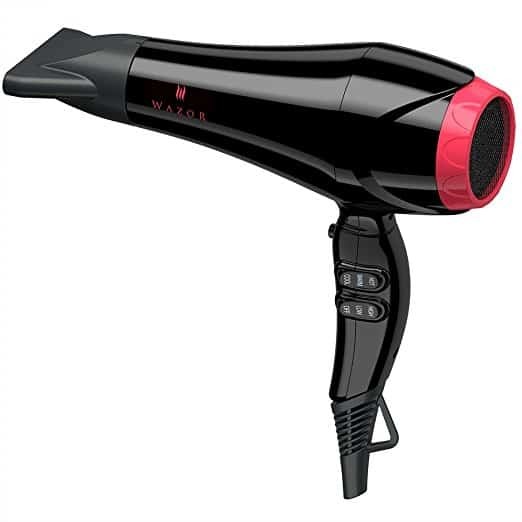 The Wazor professional dryer comes in a pink and black color scheme. It provides 1875 watts with the powerful AC motor. The product description claims that this blow dryer uses 100 times more negative ions than any other ionic dryer. The rear air inlet has a fence like design that helps to prevents your hair from being suctioned into it, making it really great for those with long hair. Design: Heavy duty 2000W dryer with six-speed settings. Last but definitely not least is the BaByliss PRO dryer. 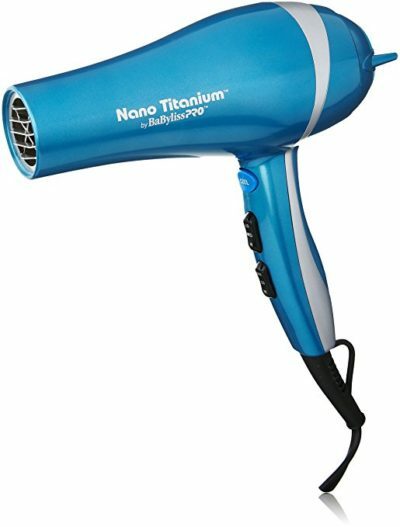 This is a heavy duty blow dryer made of titanium. It comes in a bright blue and silver color scheme. The titanium helps to keep the dryer cool which means no burned scalp or fingertips. It gives off powerful negative ions, and the grill is coated to help condition your hair at the same time. The blow dryer has power from 2000 watts for quicker drying. It also features six different heat and speed settings. It is more on the expensive side compared to the other dryers listed here, but it is ideal for any hair type because it offers several options. While price is always a factor, the great performance of this unit justifies it's placement on our picks for best blow dryers.